Getting out of a hot shower and finding the bathroom mirror, as shown in Figure 1, fogged is a frustrating situation at the best of times. Now there is a way that you can eliminate fogged bathroom mirrors. Based on the same technologies that are used for under floor electric radiant heating products are now available to keep bathroom mirrors warm and hence reduce or eliminate fogging completely. 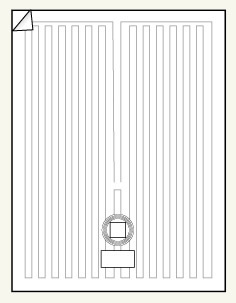 Mirror defoggers come in 3 basic shapes, oval (Figure 4), round (Figure 3) and rectangular (Figure 2) in different sizes that will accommodate most bathroom mirror configurations. Figure 2 - Rectangular mirror defogger element. 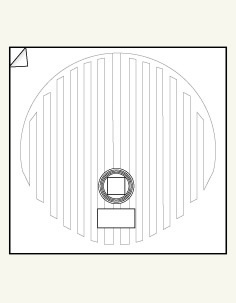 Figure 3 - Round mirror defogger element. 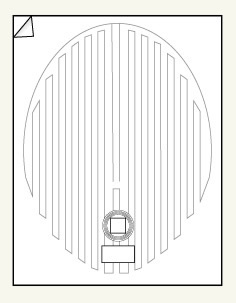 Figure 4 - Oval mirror defogger element. The installation is designed to be connected to the primary lighting circuit in a bathroom. If wired in this manner, turning the lights on in the bathroom will also start the mirror heating system. The mirror defogger does not require maintenance and the mirror may be cleaned in the manner you would normally clean any mirror. The electrical circuit utilized for the mirror's radiant heating system should be part of the bathroom's GFCI circuit. To install the electric mirror defogger it is only necessary to run a 14-2 cable with ground from the light to a new electrical junction box mounted behind the mirror. The electric defogger runs in parallel with the lighting. Most mirror defoggers consume less than a 100 watts of power. 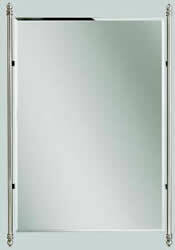 Mirror defoggers should not be installed inside showers, saunas or steam rooms.